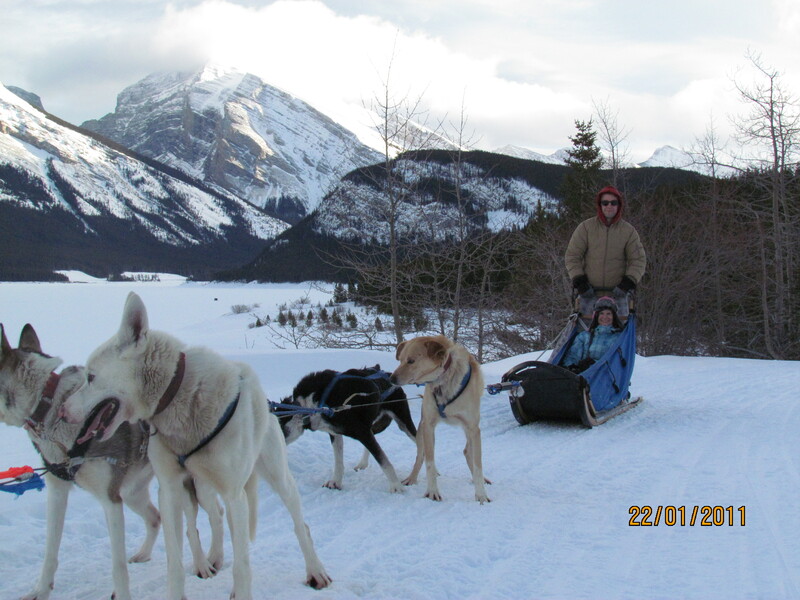 There is no better way to enjoy a sunny day, fluffy snow and the Rocky mountains than with 7 excited sled dogs and an expert driver. 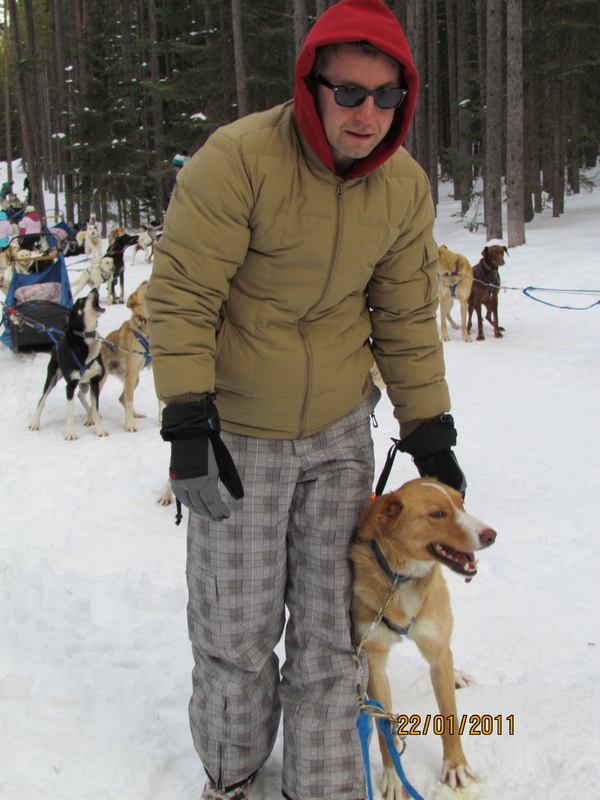 This year I choose to give Darek the joy of dogsledding as a Christmas present and happily we ended up with a sunny warm day and great sledding snow as we headed out to Howling Dog Tours in Canmore. http://howlingdogtours.com/ We met at the shop and then it was a 45 minute drive up to Spray Lake where we would meet our professional driver and our dogs. Howling Dogs uses a mix of Siberian and Alaskan huskies, most of these dogs have spent their careers on the racing circuit and are now spending their retirement in the beauty of the rockies being lavished with love by owners and tourists alike. In fact I would say that one of the highlights of the afternoon was taking the time to bond with the dogs, getting to know their names and their characters. 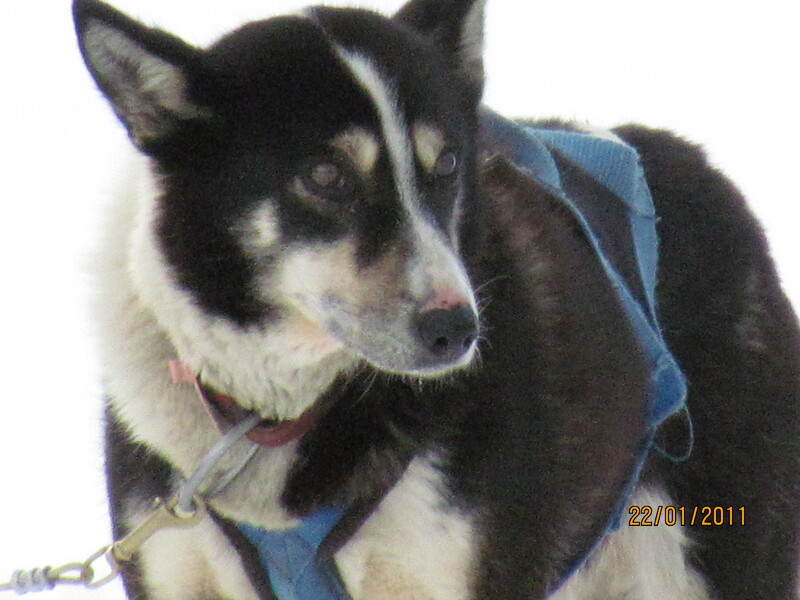 Our adventure started with meeting our driver and dogs and learning how to harness the dogs up to the sled. Then it was time to get going, the sled itself is comfortable for two and was armed with heavy blankets, we started off with Darek and I in the sled and then we got the opportunity to drive! Darek took the reins- although our professional driver was right beside him and had control at all times. The whole course was about 10 km and at the half way point we stopped for hot chocolate and dogsledding snacks (things that can’t really freeze) like beef jerky, cheese and dried fruit and of course give the dogs a snack too! At this point couples can choose to change driving arrangements, but I was quite happy to sit in a sled and have two men and 7 dogs drive me through the mountains! 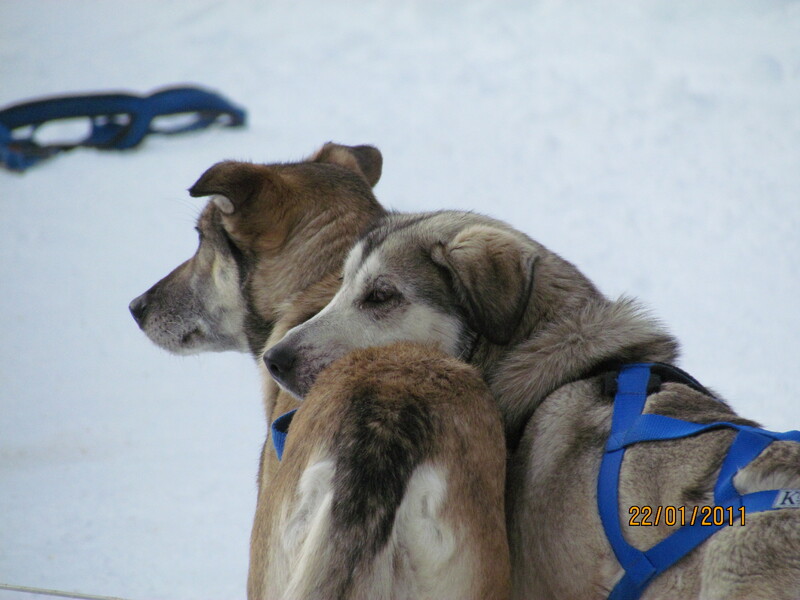 Once we arrived back at our starting point we got the dogs out of the harnesses, gave them snacks and chicken soup! We had a few more moments to play with the dogs and then we headed back to down the mountain to Canmore. The whole adventure was about 4 hours and was a fun and peaceful way to spend an afternoon. A whole afternoon in the outdoors (even though we had done none of the work) had built up a pretty good appetite so off to our reservations as Crazyweed Kitchen. http://www.crazyweed.ca/ Crazyweed opens at 5pm for their evening meal service and reservations are a must. The atmosphere is great for couples, close friends and larger parties. The panoramic windows give diners a great view of the mountains in every direction and the service is outstanding. Crazyweed has an extensive wine list but on this night I headed straight toward the hot tea; which was proper tea leaves left to steep no generic bags-yah!! We had frites for an appetizer-yum! They were real potatoes, not greasy with a creamy dip- really delicious. Then came the main course, Darek had butter chicken which was a really cool take on the traditional dish with the elements of butter chicken plated so uniquely that it was a shame to dig into it, that said, it was so delicious I very happily took my share of Darek’s supper! Now my red seafood curry was even more stunning with scallops that tasted like butter and gigantic prawns that melted in my mouth..wow! Now I once again strayed from vegan ways and the seafood was so fresh and cooked so well it was definitely worth it, but if you don’t stray from vegan/vegetarian ways there are vegetarian selections on the menu and there are also gluten free options. We were way too stuffed for dessert, but I did take a look at the dessert menu and they have nothing gluten free so if you have such a restriction and a sweet tooth you likely won’t get your fix. We did- get our fix at the Crazyweed and we are already plotting our next return visit. We headed back to the city with full bellies, exhausted from a day outdoor and a load of fantastic memories!